Ben Felten is the world’s fastest blind man on a motorcycle! 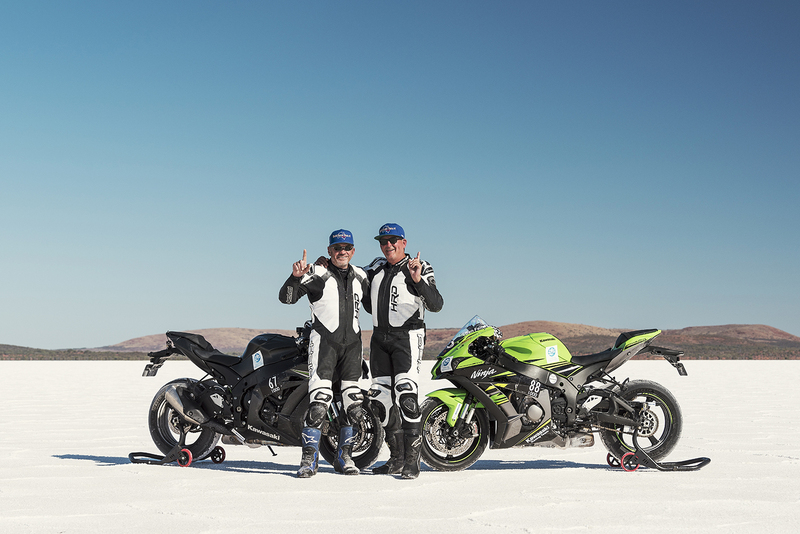 In March 2018 on a salt lake in outback South Australia, Ben recorded an average speed of 272.596km/h, setting a Guinness World Record pending ratification. Former MotoGP racer Kevin Magee (Magoo) guided Ben down the track using an analogue radio. Magoo and Paul Simpson, radio communications engineer supported Ben to achieve his life long dream. The Blind Speed team will compete at Speed Week in March 2019. The Blind Speed Team is proudly supported by Caring Approach, Kawasaki Australia, BC Performance, Rider Collective, AGV Helmets, TCX Boots, Aussie Made Software and Michelin.